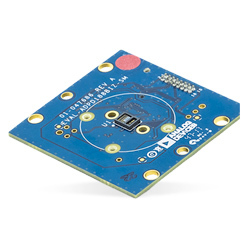 Analog Devices EVAL-ADPD188BIZ-SK Evaluation Board gives users a simple means of evaluating the ADPD188BI optical module for smoke and aerosol detection applications. The evaluation system incorporates the Applications WaveTool GUI, equipping users with low level and high-level configurability, real-time frequency and time domain analysis. The system also gives UDP transfer capability so that the evaluation board can easily interface to the user development system. The board is powered through the ribbon cable from the EVAL-ADPDUCZ microcontroller board, obtained separately.